video out. Their main offices are in Downtown KC, their practice facilities are in Swope Park (but not for long, will be moving to KCK after National Soccer Center is complete) but play out in KCK. I think they will be out at Village West for a while, that stadium was built for expansion in mind, roughly can expand by 10,000 more seats, and rumors are they should be announcing expansion by the end of the decade. Basically the owners of the team are OnGoal, which consists of Cerner owners, now tell me again where have they showed loyalty? If Kansas had given them a better "deal" aka tax breaks, to build that massive center that is being built in South KC, do you think they would have batted an eye? Hell no. lol They are taking advantage of our idiotic government here in Kansas and getting tax breaks galore. I agree with everything you posted, and would have posted the exact same thing myself. Yet because I don't like Village West (I have always thought the stadium should have been built in downtown KCK or at Kaw Point), you have some sort of issue with me. The stadium is in the parking lot of a gigantic furniture store in what feels like the middle of nowhere. Like Kauffman Stadium, it's a nice stadium, in a terrible location. I don't think they are tied to one side of the state line at all. They just took advantage of very generous incentives from Kansas. Having said that, I think we all know that "Cerner owners" are about as uninterested in building up the urban core as you can get and are much more interested in getting ridiculous incentives for their suburban projects in MO and KS. 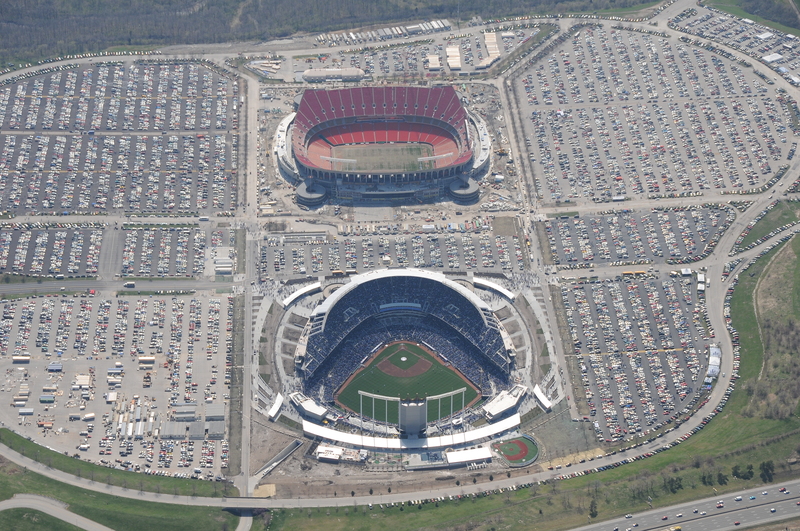 So short of the city of KCMO or KCK handing them a brand new 500 million dollar riverfront stadium with lots of free parking, an urban stadium is a pipe dream. BTW, I don't see Sporting keeping their offices in KCMO too much longer. They will probably get some free office space out by the new soccer complex in WyCo at some point in the near future. ^^^^I've seen you say several times that Sporting Park is in the parking lot of Nebraska Furniture Mart. If it were in downtown KC, what would it be in the parking lot of? Would people have to smell sewer like they do walking into Sprint Center? Kansas City really needs to deal with its sewer system before building more. You have no reason to say that except to show distain for the location. It is not in the parking lot; it is across the street from a very nice furniture store. And the location is just fine. It is surrounded with great hotels and restaurants and shopping if you're so inclined. But driving there is easy, you don't have to deal with one-way streets and although there is a lot of traffic when there are events going on, it moves pretty quickly and is not a congested mess like it would be downtown. I would much rather drive to a suburban park with plenty of open space around than have to fight traffic to a downtown urban location and feel crowded. Plus it's just a more pleasant setting in my opinion. I feel that way about any city. I was definitely not impressed when I went to the San Diego Padres game. The stadium felt too closed in to me and it made it seem so small. Kauffman Stadium is better. Sporting Park is better. Last edited by luzianne; 11-03-2016 at 06:04 PM.. The problems I have with Sporting Park and Truman Sports Complex are that, while it is indeed easier to drive there...it's nearly impossible to walk or bike there. If one prefers walking, driving or taking a bus to one of these places (I really don't like spending time in cars anymore and prefer not to drive places), these stadiums are just not set up for that. I have never been to the Padres ballpark, but I was just recently at AT&T Park in San Francisco and the great thing was that we could go from our airbnb on the Embarcadero and it was less than a 2 mile walk to the stadium...on the way we stopped for sushi and pre-gamed at a couple bars...all along the way, on foot. Plus there was lots to see along the way... I really, really wish we had a baseball stadium set up like that. I know it probably wouldn't fly for football because people like to do the tailgate thing and ample parking is needed. Plus, let's face it...the retail options around Sporting Park are a bunch of newly built sterile chain restaurants and a oversized superstore specializing in barcaloungers and Lay-Z-Boys...not exactly the paragon of fashionable taste or on the vanguard. And nothing really eclectic or charming about it at all. It's bourgeois all the way. I am lovingly kidding, of course...but there is a nugget of truth in it. Last edited by KC_Sleuth; 11-03-2016 at 06:49 PM.. The problems I have with Sporting Park and Truman Sports Complex are that, while it is indeed easier to drive there...it's nearly impossible to walk or bike there. If one prefers walking, driving or taking a bus to one of these places (I really don't like spending time in cars anymore and prefer not to drive places), these stadiums are just not set up for that. I have never been to the Padres ballpark, but I was just recently at AT&T Park in San Francisco and the great thing was that we could go from our airbnb on the Embarcadero and it was less than a 2 mile walk to the stadium...on the way we stopped for sushi and pre-gamed at a couple bars...all along the way, on foot. Plus there was lots to see along the way... I really, really wish we had a stadium set up like that. Point taken. I can see how that would be nice. But how many people would actually live close enough to be able to walk? I guess buses and streetcar would be options too, especially if people could park say at the Plaza and catch the streetcar. Not the same as being within walking distance, but I thought it was great when you could park and ride to games at Truman Sports Complex. I never did it, but I knew people who did. It doesn't work if you want to tailgate, but if you want to get there and back without driving it was a great option. Someone should revive that, maybe a private company instead of the KCATA. Private companies can still do it but you have to have enough people. I took these photos. They are ten years apart, although most of what is in the first photo went up while the stadium went up. You can see the development that has happened around the stadium in just ten years. This could be the Crossroads District. I have been to games in nearly every stadium and it takes just as long to get into and out of Kauffman than any other stadium. For large crowds it actually takes longer because you end up walking much further and traffic really bogs down at the TSC for large crowds because there are only a few ways in and out and you have no choice but to drive. In DC, it's a block to Metro and we typically take the train. While Baltimore has light rail, it's easier for us to drive. There are dozens of garages within five blocks and because you are in the city, you have tons of streets to use to get out of the area so you don't have to line up and wait for 5000 other cars to exit one large parking lot. I prefer this: So much is within walking distance. Practically all of downtown San Diego is walkable to the stadium, but you have the trolley (light rail) too. Do you realize the parking lots at the TSC would take up nearly everything in the photos below? 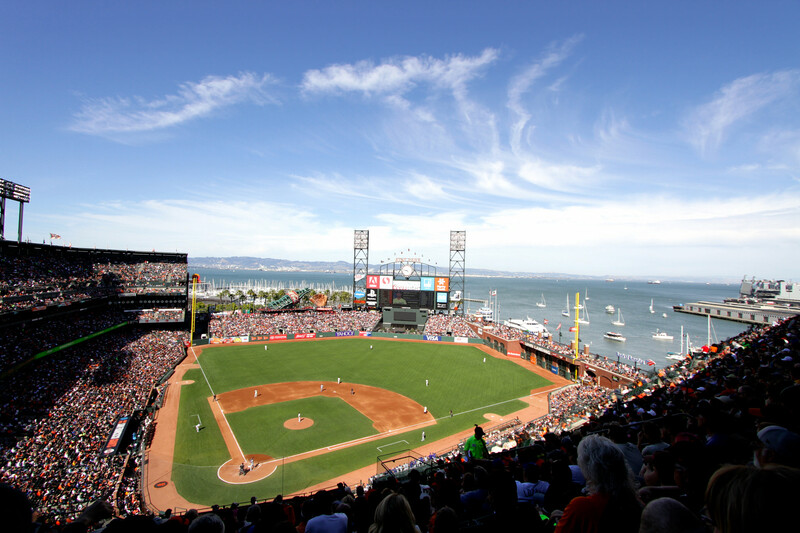 Those are nice, but nothing beats the view of the Bay behind the outfield. Literally the best at-the-game atmospheres I have ever experienced had for baseball. Yea, great park. The area behind the stadium is very built up though so it's an urban park. But yea, that view is pretty amazing. I like all stadiums. Been to all but the new Twins park and the new Miami park. Kauffman is a beautiful stadium, don't get me wrong. I love the bowl, the fountains etc and the park is amazing at night and it has become a unique park among many throwback clones. It just doesn't do much for the city. The city gets nothing in return from having it out there. Access and like KCI user friendliness is highly overrated. It's just as easy to drive to any other ballpark. Even Mets and Yankees stadiums are easy to drive to. But urban stadiums give you the option to take transit or walk. The new Atlanta Braves stadium in suburban Cobb County is a real cluster fk. It won't be near transit and parking will be much harder than Turner Field. I spend a bunch of time in Atlanta for work...they are insane for scrapping two, perfectly fine 20 year old stadiums in the same year. If I were a Atlanta/Fulton County taxpayer I would be pissed. Aside from the access, I do love Kauffmann...I don't really go to football games so I have never been to Arrowhead. Interesting. I think there would be enough people interested in that if a private company were to provide a service similar to the KCATA Chiefs/Royals Express. Especially with parking at $40 now. Hey, how was your Airbnb experience? We were thinking about doing that in Orange County but a lot of cities don't allow short-term rentals. I'm seeing a lot of "book at your own risk." May go with North San Diego County instead.